At William F. Caye II, LLC, we practice law differently. While we agree that results drive our business, building relationships with our clients and providing value-added service is the key to our success. We work hard to provide the legal experience and industry knowledge you need, as well as the personal service you deserve. Fact is, you can count on being treated with personal care and concern when you turn to our law firm. This personalized attention is a clear foundation for our success. Every detail in a case is examined to see how it may best help the client’s case. Creative solutions to legal problems are explored to make sure that every possible avenue to success is left open. If we take your case, we believe in your case. One of the keys to our success is our thorough case preparation and skill in the courtroom. We are equipped to do what it takes to zealously represent you, and we take pride in always acting in the best interests of our clients. We will work every angle and go the distance to earn the best possible results. What’s more, as a former county and state prosecutor, Bill Caye understands the power of the state and what it takes to navigate the law successfully. What sets William Caye II, LLC apart is our passion for what we do. We firmly believe in the importance of our work and view obtaining results and justice for our clients as the most rewarding aspect of our practice. Many of our clients come to us during the most difficult, challenging experiences they will ever face. It’s important that we are able to comfort and assist those who lives may have been turned upside down, say, by a criminal charge, a sudden death in the family or a serious vehicle code violation, to name only a few. You can also be assured that Bill Caye will always offer candid, realistic assessments of every case he works. He refuses to engage in the type of obfuscation practiced by some in the legal community. Rather, he has faith in the efficacy of well-practiced law. That said, while many disputes and other issues might suggest litigation as the only option, he is often able to work with opposing counsel to obtain outstanding results without the courtroom expenses. Finally, as a community-oriented attorney, Bill Caye believes in cultivating lifelong professional relationships. He wants to become your lawyer for life. No matter how big or how small the case, he is committed to excellence and have built his practice through satisfying his clients’ needs as well as by word of mouth. Bill is married to Tammy Gaydos Caye, the daughter of the late former Congressman, Joe Gaydos. The reside in Oakdale, Allegheny County, PA, with their two boys, Billy and Adam. Tammy presently works as a special needs para-educator at South Fayette H.S. Bill gives back to the community through mentoring young lawyers as well as his follow-up work with several reputable charities and non-profits, especially those that invest in education, health and the safety, and welfare of children and seniors. Born and raised Pittsburgh’s Brookline neighborhood, he is the son of Eva Colosimo Caye and William “Billy” Caye. Bill’s younger brother, Julius, is a Deputy Sheriff with the Allegheny County Sheriff’s Office. 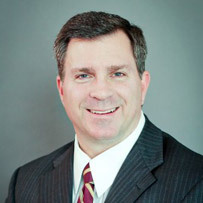 A graduate of Duquesne University and the Duquesne University Law School, Bill Caye has extensive experience in private practice. He has worked tirelessly to protect Allegheny County individuals and their families, handling thousands of cases over the course of his career. Bill has been a successful advocate for children, seniors and working-class families, always fighting for their interests. In addition, he has taught, lectured and trained other professionals on various legal topics. The ABA’s Preamble to the Model Rules of Professional Conduct says, in part, “A lawyer should strive to attain the highest level of skill, to improve the law and the legal profession and to exemplify the legal profession’s ideals of public service.” Bill Caye has championed disabled workers, been an advocate for hard working families and a clear voice for his clients to ensure fairness in the judicial process. As a Senior Deputy Attorney General for Pennsylvania, he prosecuted child predators and violent sexual offenders. Bill Caye brings a results-oriented approach to every situation, most especially by paying attention to the details. His firm offers a well-rounded perspective, relying upon his background in education, training and the proven experience of trying cases statewide over a period of 24 years. Bill possesses strong organizational, research and analytical skills with a proven track record of delivering exceptional client services. He engages in active listening and always endeavors to do what is in the best interest of his client. Well-versed in the rules of evidence and the Court, Bill is also familiar with interpreting and implementing regulatory enforcement procedures, rules and regulations. His work experience ranges from litigation, motions practice and arguments to arbitrations and trials. Being results-oriented means knowing what results are important and focusing to achieve favorable outcomes. Bill Caye strives to give clients the best representation possible and to do everything within his power to achieve positive outcomes on behalf of his clients.